Is Sorrel right? The study he cites certainly suggests so. In it, authors Ashley V. Whillans, Aaron C. Weidman, and Elizabeth W. Dunn make a convincing case that employees who prize time over money score higher on measures of subjective well-being. In other words: if more money doesn’t buy happiness, more time just might. More control over their hours is just one of the reasons people quit high-paying jobs for lower-paying alternatives. Others include a desire for less stress, greater work-life balance, a better work environment, and more opportunities for career advancement. If you’ve been considering taking a pay cut for a job that better fits your needs, here’s what you need to keep in mind. Generally, the less you work, the better your work-life balance will be. But this isn’t a precise measure, and you should also take into account how much time you spend worrying about work when you’re not on the clock. When subsidized or paid in full by the employer, these benefits can be worth thousands of dollars annually. Even benefits paid with employees’ pre-tax earnings – a common arrangement for retirement savings contributions and certain insurance premiums – may be indirectly subsidized through lower employee tax liabilities. Depending on your situation, a job with lower take-home pay may actually be to your financial advantage if the benefits are right. When my wife was considering a relatively low-paying position for her specialty, one of its biggest draws was a fantastic set of benefits, including employer-paid health insurance and a generous public pension plan (a rarity these days). When you add in a valuable benefits package, you may find you have extra breathing room in your budget even if your paychecks shrink. According to New York Public Radio station WNYC, the average round-trip commute time for U.S. workers is 25.4 minutes. It’s probably not worth the effort and stress to find a new job simply to shave 10 or 15 minutes off your round-trip commute each day. But if you’re an extreme commuter who spends two or three hours in your car daily, you may be willing to take a pay cut to find a job closer to home. Commute time was a key consideration for my wife. She was never in danger of an extreme commute, but the easy bike commute from our house to her lower-paying job sealed the deal. How valuable are your early mornings, evenings, and weekends? If you covet free time outside of typical working hours, you may be willing to accept lower pay for a shorter, more predictable schedule. You might also prize flexible scheduling. One of the things I love most about self-employment is the flexibility. If I want to punch out early to enjoy a beautiful weekday afternoon or take a long weekend away on short notice, I can do so without worrying about finding someone to cover for me or using up precious vacation time. As the ranks of freelancers and sole proprietors swell, it’s no coincidence that more traditional employers are touting flex time and no-questions-asked time-off policies. Everyone responds to stress differently. Some workers thrive in competitive, high-stress environments, and they expect to be compensated appropriately. Others are willing to trade hefty paychecks for less stress and more order. Your stress tolerance is a personal matter. If higher pay isn’t worth a shorter fuse to you, you’d probably do better in a lower-key role. What you shouldn’t have to tolerate under any circumstances is workplace harassment or abuse of any kind. While changing jobs to escape toxic coworkers or superiors is a big leap to make, it’s usually the right call if less drastic measures (like complaints to HR or reassignment requests) aren’t successful. If you’re not sure whether your situation qualifies as untenable, explain it to a trusted confidant who’s outside the situation and get their feedback. Bad workplaces aren’t always toxic or abusive. Sometimes, they’re just disorganized. Countless employees labor under hierarchies that offer minimal or conflicting support from superiors. (Think back to the comedy “Office Space,” in which the protagonist has eight different bosses and an inscrutable work product known as the “TPS report” that required virtually no effort to churn out.) If such conditions aren’t outright corrosive, they’re certainly bad for morale. My wife briefly considered a role that seemed aligned with her professional strengths and interests, but she balked after an in-person interview revealed a chaotic, understaffed workplace with little direction from above. Like many prospective employees, she didn’t want to be thrown into the fire on day one. Beware the well-compensated job that leaves you bored out of your mind at the end of the day. Over time, you could come to resent your stagnant work environment and drudge-work duties. For years before I switched to full-time writing, I worked a 50- to 60-hour-a-week job in the restaurant business. What pushed me to make the jump, even more than the promise of a flexible schedule, was my complete and total inability to find purpose in my work. In low moments, I’d try to take solace in feeding people whose work was more important than mine, but that never quite motivated me. Promotion opportunities arise more frequently in some lines of work than others. Even within the same industry, some companies just don’t offer as much upward mobility as others. Come onboard with the wrong employer at the wrong time, and you could spend years languishing in a position you’ve long since outgrown. Making the hop to a more dynamic company is often the only solution if you want to climb the corporate ladder. You can evaluate long-term prospects for your chosen occupation with the Bureau of Labor Statistics’ Occupational Outlook Handbook. Employee feedback platforms like Glassdoor are also helpful for gleaning anecdotal indications of a company’s prospects, such as hiring patterns, company growth, and opportunities for merit-based internal promotions. Sometimes a lack of career advancement opportunities is due to circumstances outside your control, like redundant roles, management missteps, or industry consolidation. If you suspect that your role – or company or employer – is facing challenges that could affect your chances for career advancement, it’s only natural to look for greener pastures. If you’re starting out on the ground floor of a new industry, or your new position requires retraining or additional credentials, you may need to accept lower pay for the time being. However, this setback will be a temporary one, and the move could be a net positive for your career prospects. Reduced take-home pay can necessitate some lifestyle changes. 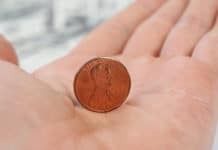 The severity of these changes depends on the extent of the pay cut, the prior state of your household finances, and your ability to make and maintain cuts to non-essential household spending. Even if a modest pay cut doesn’t dramatically affect your cash flow, it could hamper your ability to save for retirement or potential emergencies, which could lead to some tough decisions down the road. About that emergency fund: according to CNBC, 57 million Americans lack sufficient emergency reserves. If you’re among them, even temporary setbacks can cause lasting hardship. With three or six months’ income socked away for lean times, you can avoid costly consequences like having to take on credit card debt or file personal bankruptcy. To bridge longer periods of hardship, consider taking out an unsecured personal loan from a reputable bank, credit union, or online lender. Taking a modest pay cut likely won’t push you into poverty, especially if you’re starting from a comfortable baseline. But even if you’re relatively well-off, a persistent feeling of want and deprivation can take its toll on you and your family. Quitting your day job to launch your own business also typically means a pay cut, at least temporarily. My new “business” – basically a one-man consulting shop – required virtually no startup capital, but it substantially lowered my income in the year or two after I switched. I already had a few clients on the side, so I could rely on meaningful revenue as I ramped up to a full-time operation. Entrepreneurs starting from scratch won’t have that luxury. You don’t have to feel poor to feel inadequate. It’s only natural to compare your family’s situation against your peers’, whether that means sizing up your neighbor’s shiny new luxury car against your decades-old beater or worrying that your kids will be teased if they qualify for reduced-price school lunches. Everything is relative. What might be trivial in the grand scheme of things can feel hugely consequential in the here and now, especially when you’re used to a higher standard of living. Long gone are the days when most college students could work their way through a four-year degree program. While it’s possible your children could qualify for full need- or merit-based scholarships, you’d be remiss not to begin saving for their education as early as possible. For families whose incomes can barely support day-to-day needs, that’s easier said than done. Millions of students have no choice but to take on mind-boggling debt that can remain with them for decades after graduation. Student debt compounds a graduate’s already precarious financial prospects and can force them to put off buying a home, delay building their nest egg, and forgo simple pleasures like the occasional restaurant meal. Another consequence of reduced take-home pay is a longer working life. According to Bloomberg, nearly 20% of people over age 65 worked at least part-time in the second quarter of 2017. It’s increasingly common for folks to work past their 70th, 75th, and even 80th birthdays. If you’re nearing retirement and worry about your ability to support yourself for the remainder of your life, you might feel you have no choice but to keep that high-paying, unfulfilling job. Pay cuts can be marginal, such as 1% or 2% of your original salary. They can also be drastic. It all depends on what you’re willing to accept. For instance, I recently came across a post on Reddit in which a breadwinner was agonizing over whether to take a job that came with a nearly $20,000 pay cut. She and her husband were already living at the edge of their means, and this pay cut would mean having to make dramatic lifestyle changes, most notably putting off having kids. For a middle-income couple, $20,000 is a lot of money. (It’s nothing to sniff at for higher earners, either.) To put things into perspective, let’s take a closer look at what a hypothetical $20,000 per year pay cut might cost you. According to a Wall Street Journal report, the average American graduate had $37,172 in student loan debt in 2016, and that figure rises each year. Even if you’re eligible to refinance your student loans to a longer term or lower interest rate, that’s a hefty burden to carry. With an extra $20,000 in annual income, you could pay down the average U.S. student debt load in 23 months. In January 2018, the average estimated purchase price for new passenger vehicles sold in the U.S. was $36,270, according to Kelley Blue Book. If your household currently shares a single car and you’re fed up with carpooling, an extra $20,000 per year could help your quest to buy a new car. With an extra $20,000 in annual income, you could purchase an average-priced new car in 22 months. Whether you’re looking to rent or buy a home, housing is likely one of the biggest line items on your household budget. According to CNBC, the median U.S. home price was about $200,000 in 2017. In the Rust Belt and parts of the southern U.S., prices are lower – $139,141 in Birmingham, Alabama, for instance. In more expensive coastal cities like New York and San Francisco, they’re several times higher ($655,109 and $1.34 million, respectively). Average rent is more difficult to calculate on a national basis, but the range is nearly as broad: from $2,000+ per month for a one-bedroom apartment in New York City to around $800 per month for a one-bedroom in cities like Phoenix and San Antonio, according to Apartment List. If you already own a house, you likely have a wishlist of home improvement projects you’d like to tackle. 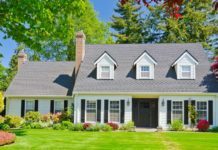 Whether you’re planning relatively low-key projects like new energy-efficient windows or a multi-room renovation, an extra $20,000 per year goes a long way. For instance, the average kitchen remodel costs just over $22,000, according to HomeAdvisor. With an extra $20,000 in annual income, you could save up enough for this project in 14 months. The average 12-night international vacation costs about $3,251, according to Mic. To be fair, this calculation includes data from frugal travelers who pull out all the stops to save money on vacation, including crashing for free with friends or family. Even if we assume the average 12-night international vacation costs double the Mic figure ($6,502), an extra $20,000 in annual income is enough to fund 36 nights abroad each year. Every household should have three types of savings: personal, retirement, and emergency savings. Finance experts recommend keeping at least three months’ income in emergency savings to address costly possibilities like job loss, major medical expenses, and damage to your home not covered by homeowners insurance. Six months’ income is even better. Let’s assume your household income is $100,000 per year or about $8,333 per month. With an extra $20,000 in annual income, you’d need 15 months to accumulate a three-month emergency reserve and 30 months to accumulate a six-month reserve. According to the College Board, the average annual cost of in-state tuition and fees at four-year public institutions was $20,090 during the 2016-2017 school year. That’s a total of $80,360 over four years. Private colleges are costlier, averaging $45,370 in tuition and fees each year, or $181,480 over four years. An extra $20,000 in annual income could cover four years of in-state tuition at the average public university in 49 months (or just over four years). It could offset the cost of four years at the average private university in 82 months (or just over nine years). To be clear, you’re unlikely to use an extra $20,000 in annual income for a single purpose; household budgeting just doesn’t work that way. And you may decide that forgoing any of the above is still worth the benefits of a new, lower-paying job. Just make sure you go into the decision knowing the real-world impacts of taking a pay cut. Should You Make the Leap? Before you accept a lower-paying job, ask yourself the following questions to gauge whether you’re ready. 1. Do You Feel Safe & Respected in Your Current Job? If you’re the object of workplace harassment or abuse by coworkers or clients, document everything and bring the issue to your HR department’s attention. If HR or management seem unresponsive to the problem or unwilling to take action to correct it, get out of there. Your safety and well-being aren’t worth a bigger paycheck. 2. Do You Feel Fulfilled in Your Current Job? Do you enjoy coming to work every day? Or do you feel under-stimulated or unfulfilled in your role? Some managers are willing to work with high-performing employees to make changes that will boost morale and well-being. Others don’t care enough, or don’t have the power to make these changes. If you don’t see a reasonable path to on-the-job happiness in your current position, it may be time to look elsewhere. 3. Do You Feel Like You’re Meant for Something Else? You can enjoy coming to work every day without being entirely sure you’re answering your true calling. There were some things I enjoyed about working at a restaurant, including learning more about myself and how to navigate the workplace. But even in my happiest moments, I never quite felt like I was doing what I was meant to do. Once I made the leap to writing, it felt like a switch had flipped. These days, I know I’ve chosen the right path. 4. Are You Currently Living Within Your Means? If you’re already living at the edge of your means, taking a pay cut could result in drastic lifestyle changes. If you’re living well within your means, however, shaving a certain amount off your take-home pay might be manageable for you. 5. How Secure Is Your Financial Position? It’s one thing to take a lower-paying job at the tail end of a lucrative career that’s produced a sizeable nest egg. It’s easier to embrace the opportunity to spend more time with family or pursue the passion project you’ve deferred when you know you’ll still be financially secure. Making a comparable leap when you’re just a few years out of college and drowning in student loan debt is another thing. You’ll need to think very carefully before choosing a path that limits your long-term earning potential. Remember how far an extra $20,000 – or even $10,000, $5,000, or $1,000 – can go. 6. 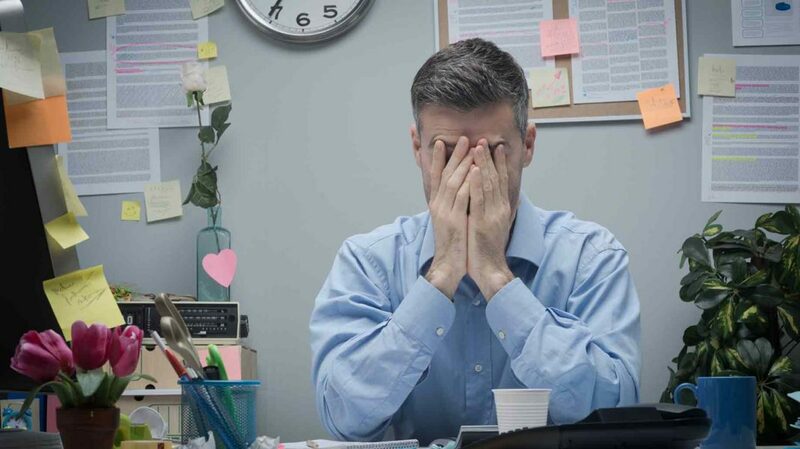 Is Your Current Job a Significant Source of Stress? 7. How Strong Is Your Negotiating Position? Are you better positioned to negotiate terms with your current employer or a prospective employer offering lower starting pay? If your employer is willing to address the issues pushing you to quit, it may be worth sticking around. If they adopt a take-it-or-leave-it attitude, there’s no point trying to negotiate better terms in your current role. You’d do better trying to wring whatever concessions you can out of a future boss. 8. How Bright Are Your Prospects for Career Advancement? If you can’t see a path forward in your current role, a lower-paying job might have better opportunities for advancement. The material comfort of a higher salary now could seem trivial when weighed against the long-term career damage of inadequate professional development. 9. What Is the Outlook for Your Current Industry or Role? Even if your prospects look bright now, can you spot any clouds gathering on the horizon? If you don’t adapt by seeking out new skills or taking on new projects, will you wake up one day to find yourself obsolete? This isn’t idle speculation. In the coming years, millions of well-paying jobs will be automated or redefined out of existence. Auto workers, cashiers, and back-office paper-pushers aren’t the only ones in danger; according to a study by Deloitte Insights, more than 100,000 U.S. jobs could be automated by 2038 – nearly 40% of the sector total. If you’re closer to the beginning of your career than the end, the smart play may be to look for work in a more stable industry or role. If that means investing in retraining or accepting a more junior role that pays less, so be it. It’s better to adapt now when you still have some choice in the matter. 10. How Promising Is Your New Job? In dynamic industries, workers commonly sacrifice take-home pay for the promise of growth and advancement. Of course, those promises don’t always come true. Before you take a big pay cut to work at a fast-paced startup in the hopes that your employee stock options will someday explode, do your due diligence. Should your new employer go belly-up before you have a chance to exercise those options, all that work will be for naught, and you’ll have left a lot of real money on the table. While some employees choose to seek greener pastures elsewhere, plenty of others choose to stay put. Those who ultimately stick it out often do so because the prospect of searching for a new job can be daunting and the outcome is uncertain. If you find yourself getting cold feet, start by evaluating your current degree of job satisfaction and your goals for the future. With a better sense of where you are now and where you’d like to be in the long run, you can better determine whether a lower-paying job is right for you. Have you ever taken a job that pays less? What factors played into your consideration?